Submarines are some of the coolest machines around but never get the same respect as supersonic jets or gargantuan aircraft carriers. Despite this lack of recognition, these metallic underwater cucumbers might be employing radical new technology developed by a New York engineering student at some point in the future. At the moment, despite the Cold War and the succeeding 20 years of diesel electric innovation, submarine design still cannot get around the idea of wireless transmission. Enter Tristan Lawry, who’s currently pursuing his doctorate at Rensselaer Polytechnic Institute (RLI for short), and his latest project: simply put, he has found a way for piezoelectric transducers to transmit acoustic signals that relay power through a metal hull. This, boys and girls, has previously been rather impossible for subs. However, despite the potential for Lowry’s breakthrough to find much use in various industries, his acoustic power signals and data transmission is still being tested. So far he’s pulled it off on a 2.5 inch thick plate. 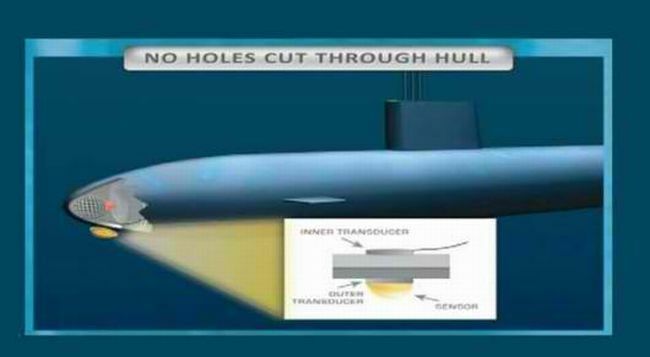 When this technology is applied to subs, expect another leap forward for the silent ships beneath the waves. They’ve sure come a long way in the last 150 years.